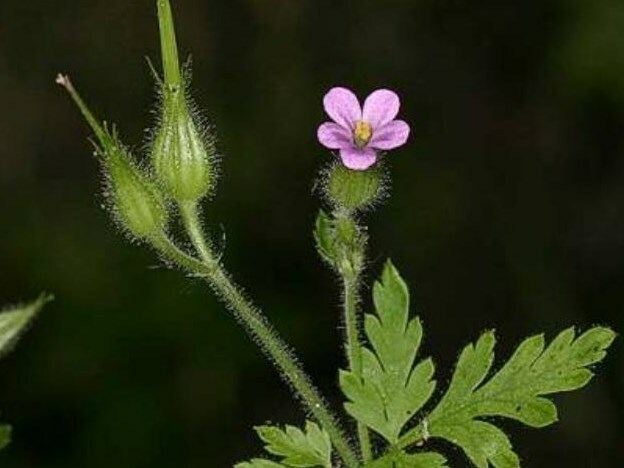 Geranium purpureum (little robin) is a herb (family Geraniaceae) with pink flowers and lobed leaves found in the San Francisco Bay area and central coast ranges of California. It is native to Europe, northern Africa and western Asia. It favors grasslands and woodlands. It spreads via seeds which land within a short distance of the parent plant. Animal and human activities help disperse this plant.